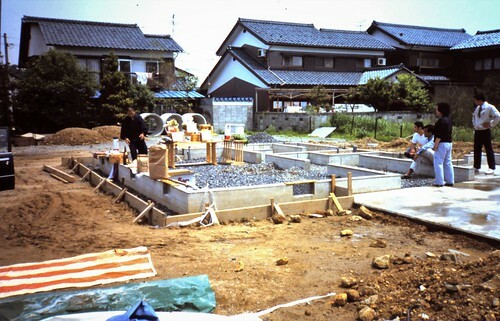 Most times commercial or residential construction projects include a "ground calming ceremony" (jichin-sai) that is led by a Shinto officiant. However, sometimes a Buddhist priest will offer a similar service for the property owner. The earliest incidence probably goes back to the time of tumuli builders (kofun period, 300-600 C.E. ), if not earlier. It continues today.